Get ready for compliments that’ll make you blush! 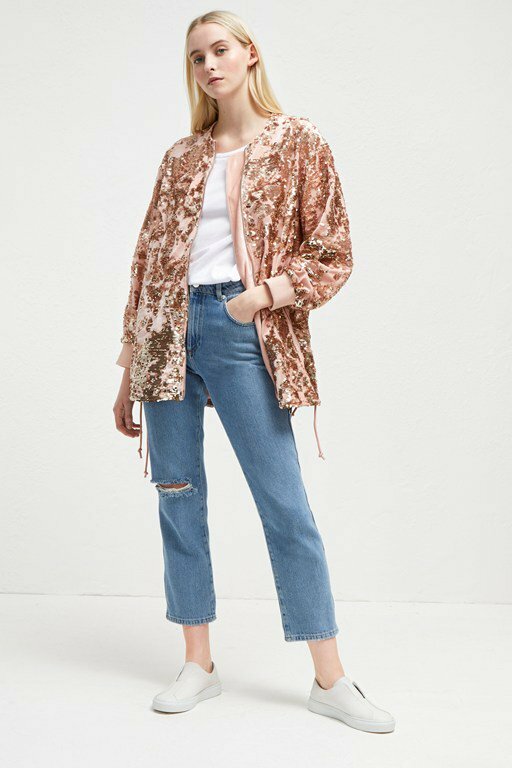 Move over, millennial pink.There’s a new shade of our favorite rosey hue in town. Meet teagown. The soft yet powerful shade that lends a feminine feel to your fall wardrobe. on its own or paired with other warm, autumnal shades. Below we’ve rounded up the styles that we’ll be wearing on repeat. Lace is more when combined with our classic silhouettes. A classic update to one of our best-selling silhouettes.This form-fitting dress features a pretty crochet lace overlay and a full shape skirt. We guarantee you’ll wear this on repeat. Transition into fall with lightweight and fashion-forward knits. 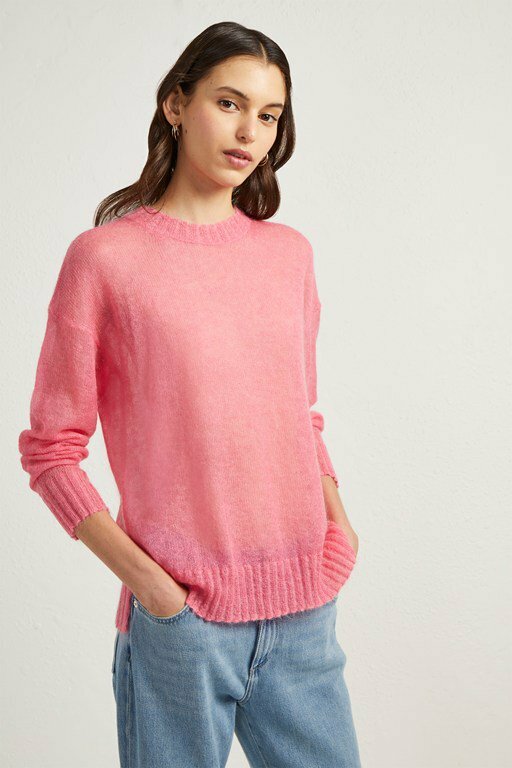 Upgrade your knitwear collection with this cool and cozy oversized sweater. It’s understated yet chic, featuring statement frills along the sleeves. Throw on with your favorite jeans for a casual weekend look. For those days in-between summer and fall, reach for this lightweight knit made and crafted from a soft wool-blend. Layer over a maxi dress for a modern bohemian feel. Sophisticated tops that easily transition from day-to-night. This workwear inspired popover shirt is the key to classic style. It’s an easy choice on days when you just can’t decide what to wear. 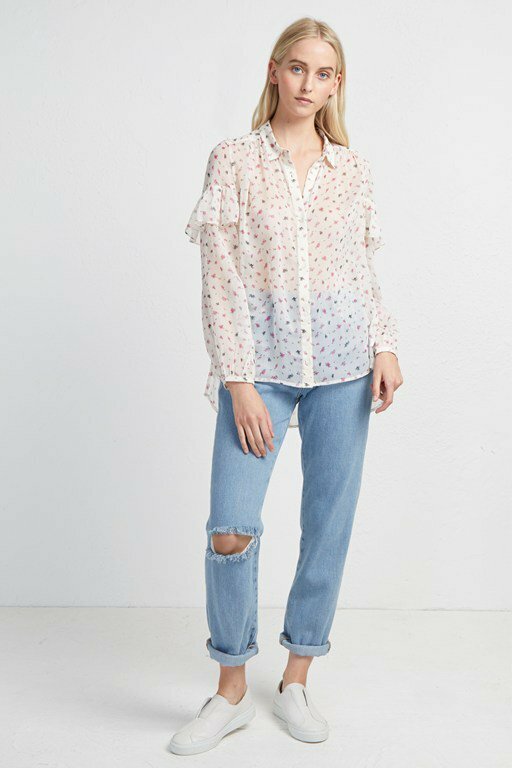 Its delicate, ditsy floral print is an effortless way to add more color to your minimalist wardrobe.